Notes: Jasmine H. comments: "Water and sugar." Yeah, essentially. 22g of sugar is about the same as 2 and a half Krispy Kreme glazed donuts (25g). Don't get me wrong, chocolate milk is delicious, and I'm all for kids drinking it sometimes. But I don't think it should be available everyday, only on occassion. What are your thoughts? Do you think, "Well, at least they are drinking milk?" I'd rather see them offer real beverages like whole milk, apple juice or coconut milk, iced or hot tea, and water. 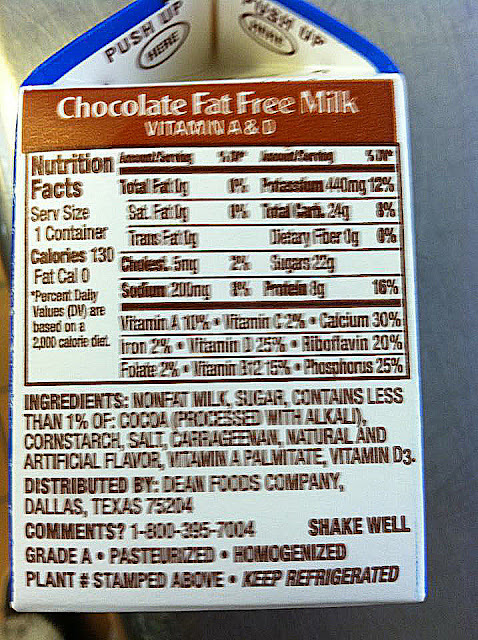 The sugar in chocolate milk counts the sugar naturally found in milk as well as the sugar added by sweetening process. I agree that a child should not be given access to chocolate milk every day but studies have shown(I don't have them with me) have shown children simply will not drink milk when presented the choice of milk or nothing. 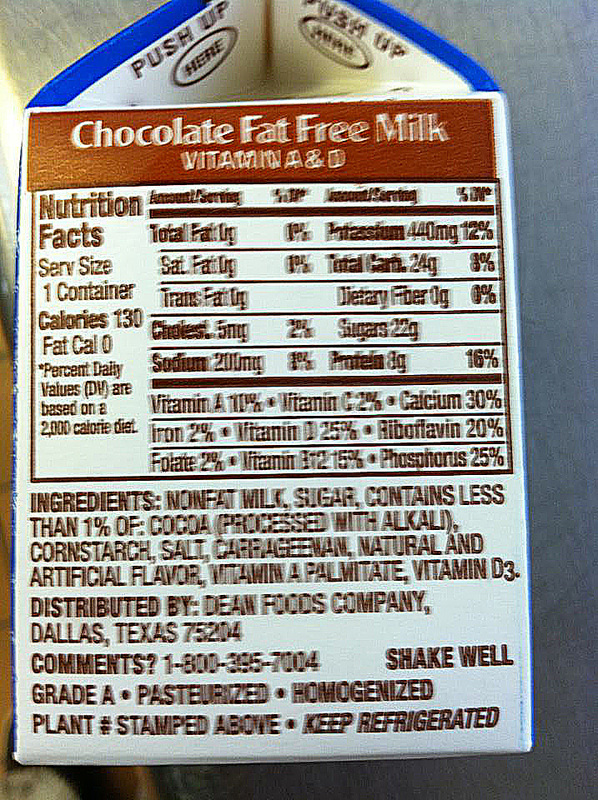 Its fat free milk, not low-fat, ewww.